If you take a step outside your front door, how many plants in your garden are you be able to name? Although your grandparents or even great-grandparents could probably name nearly every inch of their land, this skill has been lost for recent generations. Along with this comes the loss of medicinal plant knowledge. It’s really quite a shame: no matter where you live in the world, you’ll always be surrounded by medicinal plants, even in the concrete jungle. One of these “lost plants” is purslane, a nutritious succulent that’s now regarded as a useless weed. In traditional medicine, the herb is well appreciated by new mothers for its ability to treat mastitis, lack of milk flow, and postpartum bleeding. It also relaxes skeletal muscles and acts as a diuretic. 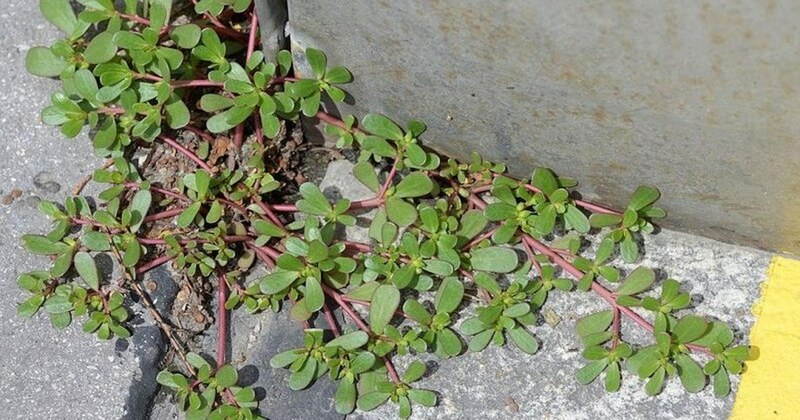 However, nursing mothers should consult a naturopath before taking purslane (1). Purslane contains a neurohormone called l-norepinephrine that acts as a vasopressor and antihypotensive agent to promptly treats hemorrhages. The herb even has antibacterial, antifungal, and anti-inflammatory effects (2). In terms of nutritional value, the herb is said to have more beta-carotene than spinach and carrots, as well as high levels of vitamins B, C and E, magnesium, calcium, potassium, folate, lithium, and protein (3,4,5). Another interesting component of the plant is melatonin, an antioxidant that acts as a hormone and is also produced by your pineal gland (6,7). Melatonin regulates your body’s natural sleep and wake cycles to help you get a good night’s sleep. A study conducted by the University of Texas at San Antonio found that purslane contained 10 to 1000 times more melatonin than other edible plants tested (8). The plant is also currently being tested for its ability to fight tumors (9). The main difference between the two is that the spurge is hairy and has a milky sap while purslane is smooth and produces clear sap (10). Purslane is best harvested is late summer and early autumn when its leaves are full and juicy. While it can be harvested year-round in warmer regions, the flavor of your harvest can vary depending on when it’s picked. You can plant purslane in your garden, but it can quickly become invasive (11). The leaves and stems can be eaten raw, dried, steamed, stir-fried, or even pureed, but beware, the herb gets a little slimy when overcooked. 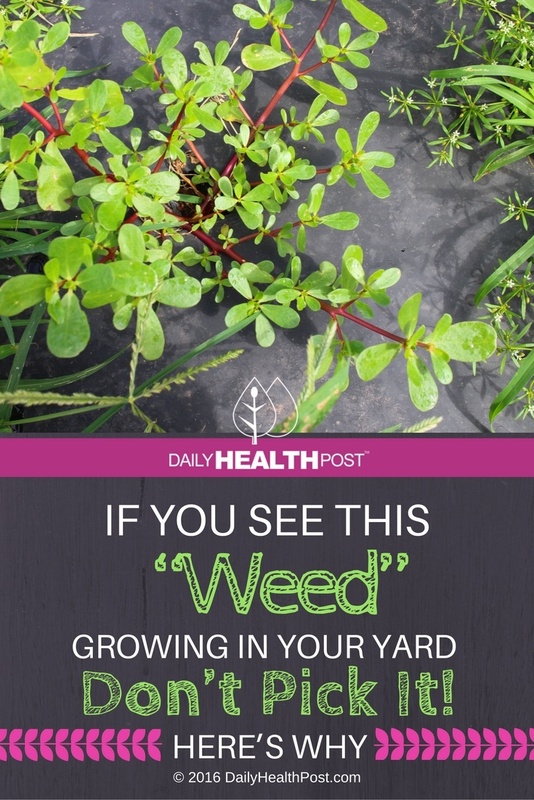 Think of the herb as an alternative to spinach or watercress. The flowers make a great addition to salads while the stems are delightful when pickled: They’re known for having a delicious, slightly sour and salty lemony taste. Learn how to cook with it here.